The Band is excited to be heading up to the Raven Cafe again later in March! Road trip to Prescott AZ to play at Raven Cafe this Saturday! Always a great time!! The RRB is growing and playing stronger all of the time. We are in the studio over the next few months working new project ‘Whispers.’ Look for it in Spring of 2018. Peace, Love and Happiness. 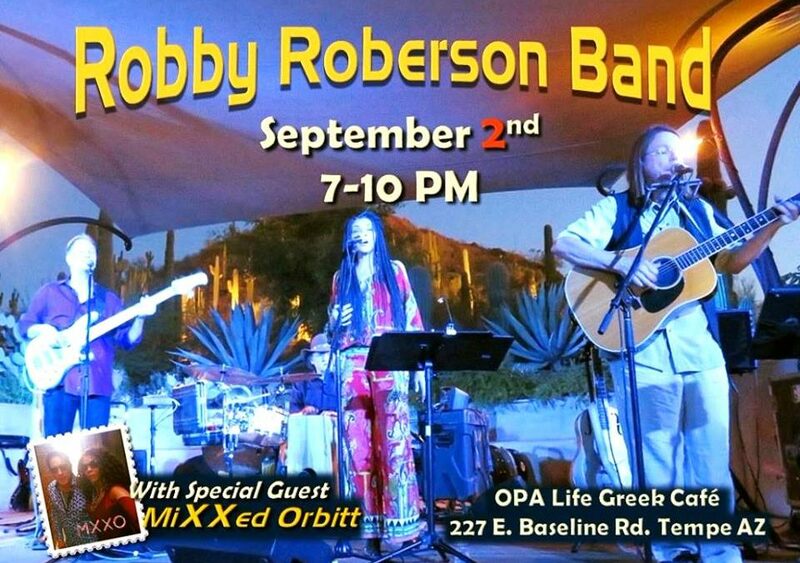 Robby Roberson and the band killed it last night at the Scottsdale Center for the Arts. Drive, Craft, Beat, Rhythm, Groove, they’ve got it all; You need to catch this important Arizona power house.